We’re Training New Software Developers in Ocala! Andrew Comeau April 3, 2017 Comments Off on We’re Training New Software Developers in Ocala! Late last year, I was tapped to design and teach a program in software development at Marion Technical College in Ocala. 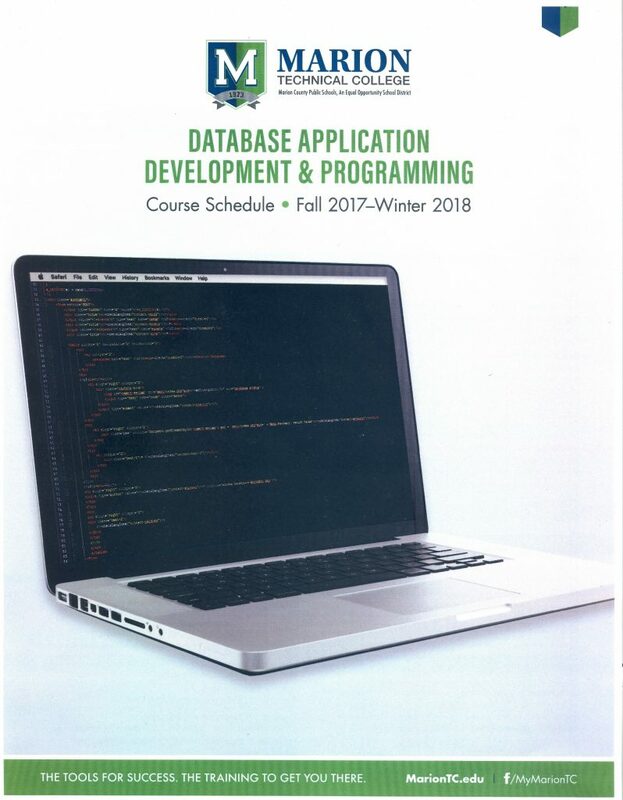 The first classes will be in August 2017 and the program will have a special focus on database design and programming in SQL. I’m not exaggerating when I say that there is a shortage of qualified I.T. people and especially programmers. I.T. workers make up around 2% of the workforce and programmers are just a percentage of that. People who can understand business requirements and code those requirements into working software are sought after by companies and recruiters who are willing to pay large salaries, even in the absence of a degree. I know this from personal experience. Marion Technical’s new Software Development program starts in August 2017. Night classes will help prepare students to earn Microsoft certifications in database and software development. The need for qualified programmers and the opportunity for people who are willing to learn are a couple of the reasons I jumped at the chance to teach this program. With just over a year of training, we can put someone on the road to making over $100,000 a year within the first several years of their new career. This is also a chance for people to work in a field where they can discover their ability to solve challenges and engineer solutions to help other people. Programmers get to see the advancement of technology first-hand and use those new technologies to create great things. Marion Technical’s software development course will prepare students to earn the Microsoft Technology Associate certifications in Database and Software development. Professional programmers must be ready to learn new computer languages as needed so we will emphasize the principles and concepts behind software development as much as a specific language. The primary languages will be SQL (for database programming) and Visual C# and Java (for software design). Students will also learn about the basics and use of other languages so they can intelligently compare different technologies. Best of all, students who complete the course will have developed real, useful software that they can claim as their own and show off to potential employers and clients. The classes will also be held at night to make it easier for people already working to start a new career. You can be one of those students. If you’ve thought about learning how to program but decided it was only for the ultra-smart people, think again. Programmers aren’t necessarily more intelligent, we just have the aptitude to work with the concepts involved and the love of the technology that drives us to learn more. You might be one of us! If you would like to know more about how you can become a computer programmer or about any of the other 12 to 15 month career programs at Marion Technical College, you can attend our next school-wide information session on Tuesday, May 9, 2017. There will be people there ready to discuss any of the programs with you and the financial assistance options available. If you can’t make it on May 9, check out our website at MarionTC.edu or call (352) 671-7200 for more information. We’re always glad to talk to people individually about how we can help. Organizer of the Ocala I.T. Professionals. Software developer and consultant based in Ocala, Florida.